Justine Lee: CEO of VetGirl, staff criticalist at Animal Emergency & Referral Center in Oakdale, Minn, author of "It's a Dog's Life...but It's Your Carpet" and "It's a Cat's World...You Just Live In It"
The holiday season can mean a stream of decorations and foods into your home that can be quite tempting for your family pets. But many of them can be dangerous or even deadly. Veterinarian and author Justine Lee joined The Daily Circuit to review the biggest dangers facing pets during the winter holidays and what you can do to keep them safe while you celebrate. Keep all chocolate away from pets, especially dogs, Lee said. Labs are particularly interested in the treat and she says the darker the chocolate, the most poisonous it is. Just one or two ounces of a dark chocolate can poison a large dog. If you have cats, do not use tinsel on your tree, Lee said. Cats like to chew on it and it can wrap around base of tongue, get stuck in their stomach and saw through the intestines. This can also happen with other stringy holiday items like ribbon and yarn. Animals can get sick from drinking the Christmas tree water, so Lee suggests wrapping alumninum foil around the base to deter pets. The water is particularly dangerous if it contains any chemicals to keep the tree healthy. 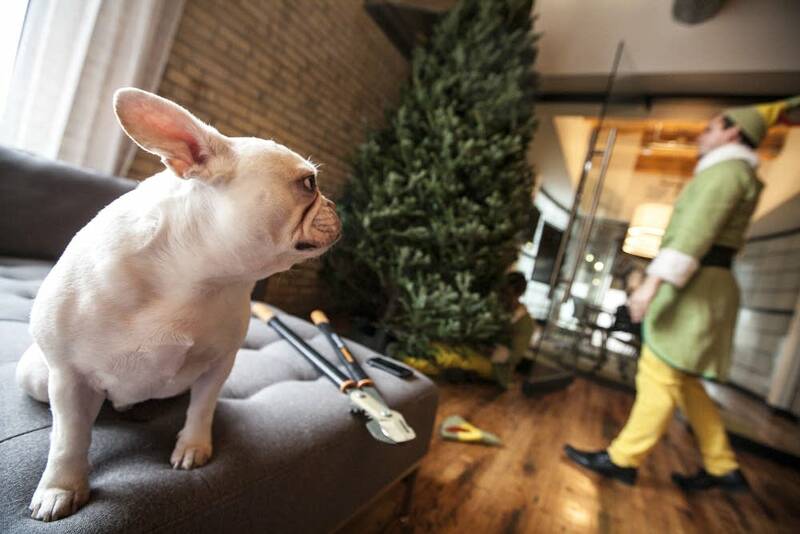 Other tips: Keep tree in stable place where cats can't leap to take it down, and avoid glass ornaments. If you have a pet that likes to chew on the cords of lights, they could potentially get a serious electrical burn and deadly complications. Keep them out of reach, particularly if you have a kitten or puppy. Lee strongly discourages giving animals as holiday presents. Most pets are left at shelters because they are an inconvenience, not life-changing situations. If you do get a dog for a holiday gift, be sure to enroll in obedience courses to bond with your pup and better your chances of having a well-behaved companion. Poinsettia plants are not deadly to pets. The plants will only cause mild symptoms if ingested. But there are a number of plants that are deadly to animals and should never come into your home: Sago palm plants causes liver failure in dogs. Lee said 50 percent of dogs who get into this plant die. Any type of lily is deadly for cats and causes kidney failure. A full list of poisonous plants can be found here. Macadamia nuts cause temporary paralysis in dogs. Unbaked bread dough is also dangerous to dogs. The stomach acts like an oven and activates the yeast, Lee said. A dog's stomach will fill with gas and cause bloat. These dogs are also susceptible to alcohol poisoning due to the reactions with sugar in the stomach. When in doubt, call your vet, an animal poison control center or visit an emergency veterinarian. Lee recommends always calling a professional first, but be sure to have a new, unexpired bottle of 3 percent hydrogen peroxide in your home to induce vomiting in a dog. If the poisonous item was ingested less than an hour ago with no symptoms, this method works for dogs. There is nothing you can do to induce vomiting in a cat at home.